As a parent, you willingly want to give your children the opportunity to have their freedom and independence but are often more concerned with their safety. This Christmas you can give your child their freedom in the shape of a watch. It is often difficult to find a gift that provides a win-win for both parent and child; but TicTocTrack has changed the game. On the outside, it’s an easy-wear, fun watch that tells the time and can get dirty, washed and rough-housed by its active little wearers. 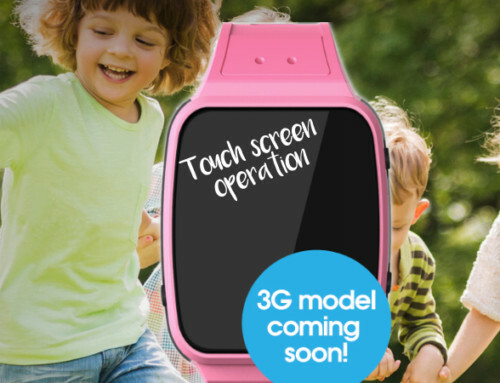 On the inside, it is the world’s smallest safety smart watch; nurturing children’s independence while offering parents the peace of mind. Creators of TicTocTrack, Karen Cantwell and Simon Roza have allowed parents to watch their children through the use of ‘geo-fences’. These fences enable parents to establish safe areas for their children to play in and notify them if they were to leave them. Further features include a two-way voice function that at the same time locates the child on their desktop or smartphone. And for those times of distress, an emergency SOS button. Summer holidays are here and nobody wants to spend their summer stressed over something that has a simple solution. As a mother of two young boys, Mrs Cantwell advises parents that the fear of losing a child in a shopping centre is very real. “We’ve all experienced it; time stands still and it feels like the longest minutes of your life. When my son started school, it made me aware of all the other safety variables that come into their lives as they develop natural independence,” Ms Cantwell said. Mr Da Roza – a former principal with 25 years experience in early childhood education – similarly agreed and also said that the watch enables children to explore the world without their parents or carers always ‘hovering’ over them. He emphasised that “Physically, mentally and socially, independent play and the ability for a child have the freedom to be outside their parent’s gaze – without being totally out of touch with them – is immensely important”. But if you are still not convinced, here is a very real situation that occurred recently during the school holidays. A family visited Disneyland with their young daughter as a summer break treat. As expected the crowds were large and was very easy to be separated in. As you can imagine, the young girl got lost and was separated from her parents. Wearing the TicTocTrack watch however, her parents were able to call her through the voice function and safely locate her. So this holiday when you are doing your Christmas shopping don’t feel torn between work and play; you can have both with TicToctrack. October 28th, 2016 | Comments Off on Keep your kids safe from home chemicals!